NPS is chasing a squirrel up a tree and it’s lost in Canyonlands NP. Outside parties suggest insurance limits of $5 million for concessionaires. that number was determined. However, how the limit was determined was wrong. You determine the amount of insurance you need by determining your insurable interest. How much is your business worth? By that I mean you determine the value of your business, what is worth it, if you were to sell the business. then buy a little more insurance than that. Say your business is worth $1 million. Based on all the property, land, income, permits (which allegedly have no value) your CPA has determined that your business valuation is $1 million. You should buy $1.1 million in insurance coverage. Probably, you will end up buying $1.5 or $2 million because polices are rarely written for $1.1 million, usually just big round numbers. Why? Because you are protecting what you own. That is what insurance is for, to protect an asset. You buy fire insurance to replace a building if it was to burn down. If it cost you $500,000 to rebuild the building, it would be stupid to insure the building for $400,000 and just as stupid to insure it for $600,000. In the first case, you would only have a $400,000 building when you were done, not what you needed. In the second case, you would have a $500,000 building and nothing more. You would have paid a premium on an extra $100,000 of insurance that you will never get. You can’t insure what you don’t own or for an inflated value. The same goes for liability insurance. Why insure your business for more than it is worth. All you want to do is keep your business. You don’t want to pay for insurance that you don’t need. All that does with liability insurance provide an incentive to sue and a bigger payoff if they do. The last think you want to do is to have less insurance than the value of your business. If your business is worth $1 million, and you have $500,000 in liability insurance, the plaintiff will sue and take your business. That is $500,000 more than your insurance. You buy the amount of insurance that you need to protect your business from fire, wind, hail and lawsuits. So what is the NPS going to do? First, they could bankrupt large business that only buys the minimum to maintain their concession contract. If they are worth more than $5 million, then they will lose their business if a guest has a claim greater than $5 million. 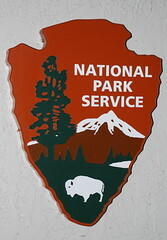 The NPS may also bankrupt businesses if they ask a business with a value of $100,000 to buy a $5 million-dollar policy. They could not afford it. The only people who will not suffer are those businesses that are worth more than $3.5 million. The $5 million limits are about right. Based on the article, the NPS will bankrupt a lot of its concessionaires. The NPS currently has 515 concession contracts in 130 parks, with 60 percent of those contracts generating less than $250,000 in annual revenue. As stupid as that sounds, this quote from the “insurance professionals” that the NPS hired is even stupider from an insurance standpoint. Why is that a stupid statement? Because insurance claims are based on a real value in the end. You total the medical bills, the future medical bills, the lost wages and an amount for pain and suffering and that amount is what a claim amount boils down too. If 99% of your clients make about $50,000, a year and 99% of your injuries are sprained ankles than your claims limits would be $10,000. Someone who can’t work for months and only makes $50,000 a year would after one year out of work, only recover $40,000 or so. The amount earned is discounted because you would not have costs of working and there is a value of getting the money in one lump sum in advance. To determine the insurance limits an actuary would look at claims. And the claims don’t justify the limits the “experts” are requesting. Besides insurance is not based on what someone is owed, insurance is based on what you are worth as a business. Based on the quote above, the value the “experts” came up with is based on a mythical future claim with multiple injured parties. I’m still waiting for that to happen. Reality and the “experts” have not met. Read the article, the “experts” look pretty bad. Even worse, the NPS admitted that they had no claims like this in testimony before Congress. Insurance is not determined by guesses or experts, except a business’s CPA. How much is the business worth that is the amount of insurance you need! See New National Parks’ Insurance Requirements Ignite Controversy or New National Parks Outfitters & Guides Insurance Requirements.